…two friends are fighting cancer, one of them for the second time. …Another deals with debilitating illness every day while a fourth deteriorates as the result of Alzheimer’s. …A married couple among our acquaintances is separated. He is filing for a divorce that she doesn’t want or deserve. …Families and friends of those who died in the recent terrorist attacks suffer through the aftermath, as well as those injured, their families and friends. 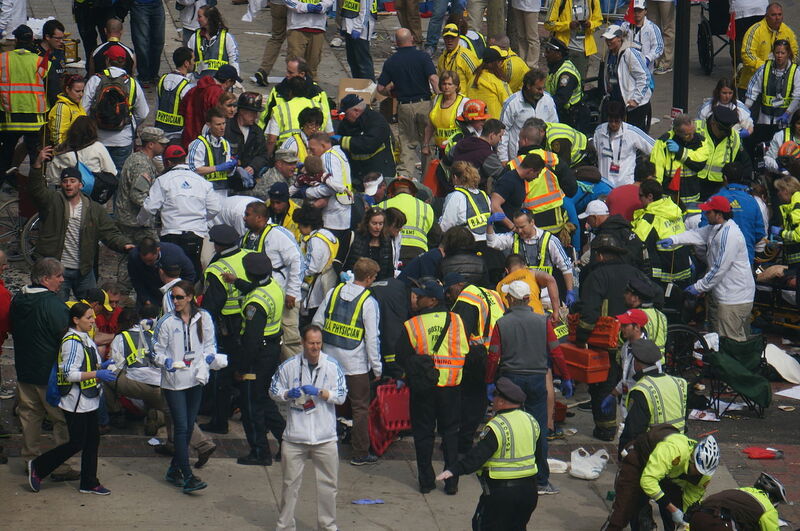 My heart aches for the first responders as well. Though I wish it weren’t so, even devout believers in Jesus endure physical pain, emotional hurt, and horrific circumstances. How can God be for us when so many endure anguish? #1. My interpretation of a particular verse must be measured against the whole of scripture and the experience of countless saints through the ages. Evidence from the Bible and church history would indicate that “God for us” does not mean he will engineer a problem-free life—even for one of his beloved. Perfection is reserved for heaven. 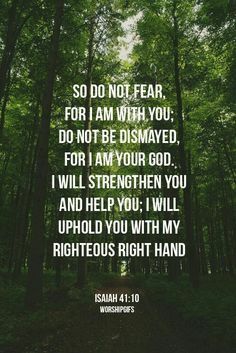 uphold us with encouragement and comfort (Isaiah 41:10). But when shocking news sends me spinning toward fear, when trouble threatens to destroy my peace and joy, when pain exhausts my strength, those familiar promises seem—dare I say it?—inadequate. His presence with me, but I want him to show me the way out. His strength, but I don’t feel it. Instead, I feel terribly weak. His help through the situation, but I want his help around it. His encouragement and comfort, but I am discouraged and uncomfortable. Such statements bring immediate clarity to the inadequacy. Look how I am the focus of those statements, how I assert my desires for relief and ease. #2. God’s desire for me during my time on earth is not endless comfort and pleasure. maturity (James 1:4)—fully developed character of faith, discipline, and integrity. Heightened awareness of him so that “in the darkness of adversity, [I am] able to see more clearly the radiance of his face”* (2 Corinthians 4:6). 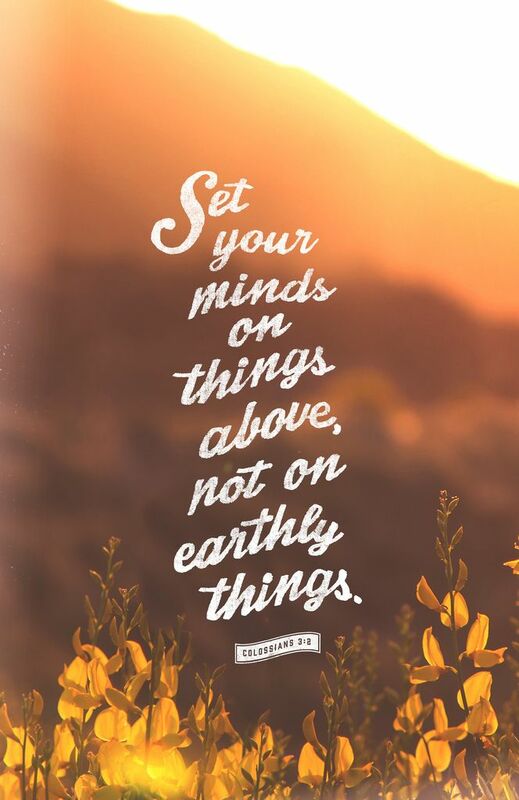 Lessened awareness of the inconsequential things on earth (Colossians 2:1-2). Paul wrote that—a man who suffered much. He was beaten, imprisoned, and even stoned because of his faith in Jesus (2 Corinthians 6:4-5). Yet he was able to assert that anything he had suffered was nothing compared to the glorious joys of heaven awaiting him. That’s a critical truth to remember. #3. 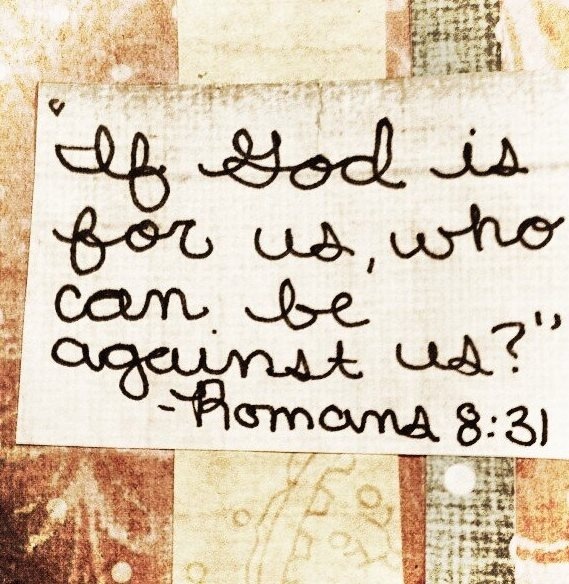 Evidence abounds that God is for us no matter the circumstances. Just for fun, I counted up God’s attributes in the index of one of my resources—attributes such as God’s Attentiveness, God’s Blessings, and God’s Care. The list includes twenty-eight different categories. No doubt there are even more. How can I doubt the motives of such a loving, generous God? My own experience provides bountiful evidence. As some of you will remember, I’ve kept a journal since 1983 of God’s faithfulness to our family. Each year I total up the blessings, and praise God for his help, kindness, and miracles during the previous twelve months. To date there are more than 1,200 entries in all. At the end of one particularly difficult year my jaw dropped to discover more entries than any year previously. God had indeed been for me—through it all. Every day, every moment, the Almighty God of grace, power, and love is at work for our benefit. Who could possibly win against such supremacy? * Sarah Young, Jesus Calling, Thomas Nelson, p. 361. How have you experienced God’s grace, power, and love during a time of difficulty? Please share in the comment section below! love this exploration of a difficult topic. #3 struck me the most and gave me hope no matter what happens. Living with the uncertainty and fragileness of life is challenging but He is with us. “He is with us” is HUGE! How encouraging to know all his attributes are applied to our lives as we trust in him. That alone is glorious, hope-giving truth. Thank you, Jean! So enjoy From the Inside Out. Today it comes at the end of a very special quiet time….a gentle way of easing back into daily activities. Feeling very blessed. Thank you, Nancy! Thank you so much for your encouragement, Susan. I’m so glad you enjoy reading this blog, that today it even contributed to your sense of blessing. Praise God! 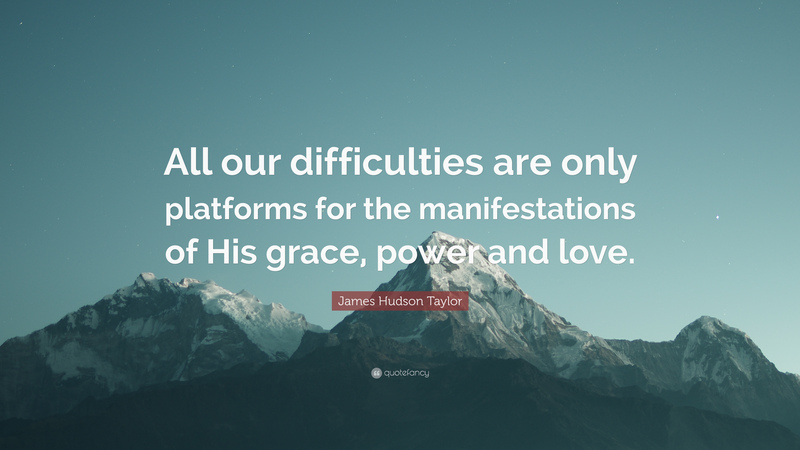 That Hudson Taylor quote resonated with me, too. You are so right, Lisa: As our experiences with God mount up, we are enabled to trust Him more implicitly and know His peace in spite of circumstances. Your life-testimony offers much proof! So glad this post ministered to you, dear friend. God did not come to make us comfortable or happy…he came to make us like Jesus, and most of the time that hurts. I’ve recently sensed God’s grace and nearness in my recent tears through our family’s latest trials. He is close to those with broken hearts, yes? God is ESPECIALLY close to those with broken hearts (Psalm 34:18). Praise God for the solace and strength of his presence and his grace to see us through moment by moment. I am so sorry, Jody, for the troubles that currently beset your family. May you SOON be thanking him for faithfully keeping his promises, upholding you, and lifting you up (Psalm 145:13-14). 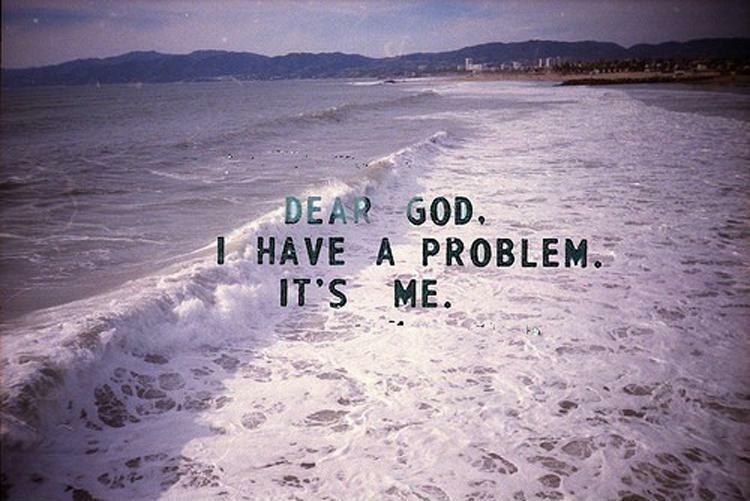 That is my prayer! P.S. Your first statement is full of truth; I couldn’t agree more. I believe, Nancy, that this is your best (for me, at least) post to date. First of all, I am so sorry that you are going through so very much right now. Secondly, sometimes Mom and I feel that no sooner do we come through one trial…when another one (or two) hits us smack in the face. Our fractured family has been further broken this year. 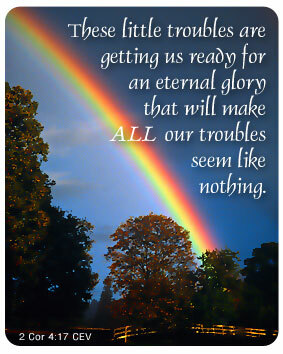 We are trusting the Lord to bring us through this with the help of His Holy Spirit. We have both learned to ‘let go and let God’! feel so very blessed to have Christ as my Savior. Without Him and His Faithfulness and Love..How do people get through a single hour? Romans 8:28 is one of my life verses: “And we know that all things work together for good to them that love God, to them who are the called according to his purpose.” Thanks so very much for your faithfulness to this blog! Thank you, Cheri. It blesses me more than I can express when these posts touch people’s hearts. Praise God! You are so right: How people get through a single hour without his hope, peace, and strength, I can’t imagine. Thank you for being such a loyal reader and encouraging commenter, Cheri. I am heartily grateful for you! You are a blessing to me, Nancy. I thank God for our continuing friendship…still going strong after 50 years! Well, that works out nicely–mutual appreciation! I, too, am very thankful we’ve stayed in touch all these years.